SCHOLARSHIP WINNERS HAVE BEEN ANNOUNCED! 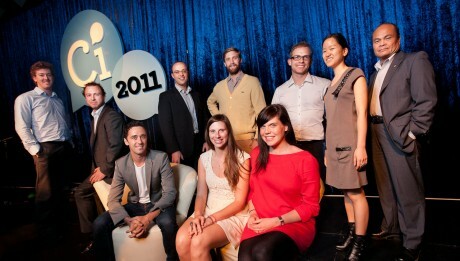 To find out more about our wonderful 2011 winners, please download the Media Release. Read the summary of research we did on our applicants. Each year Creative Innovation offers 10 places to the Creative Innovation conference to emerging leaders from any sector. Eulogy of Bobby Kennedy. For more of the eulogy click here. We are searching for the most outstanding emerging leaders and innovators from across Australia who exhibit strong moral courage, that are game-changers and are creating and implementing ideas that are making a difference. Leaders that may at times feel afraid or uncertain yet still rise to confront the needs and challenges of society head on. These scholarships are provided to innovation leaders of the future to prepare them for the challenges of tomorrow. Included is a full place for the entire Ci2011 event, an opportunity to present your vision for the future in the conference program and on the website and a 60 second speaking spot during the main conference program. Innovation has the power to transform industries and is the basis for new businesses. Business innovation transforms creativity into jobs, it increases productivity and it drives a competitive economy. Innovative early stage companies are the mechanism for the commercialisation of Australia’s strong research base into new products, services and processes. However the researchers, inventors and entrepreneurs who come up with new ideas sometimes lack the capacity to manage them. Early stage innovative businesses face two hurdles in exploiting their opportunities: access to sufficient capital and the right skills and connections to execute. To address these needs, the Australian Government launched Commercialisation Australia in January 2010. Commercialisation Australia provides a range of funding products (from $50,000 to $2 million) and access to Case Managers – highly skilled business builders who are available to work with successful applicants and guide them through the various stages of commercialisation. Where needed, Commercialisation Australia also links its participants with volunteer business mentors. These are people with significant business, commercialisation, domain and investment expertise who can share their insights and help participants make important business decisions and connections. or from the hotline 13 22 56.